September 13, 2004-AleaSoft (aleasoft.com) launches AleaWind; a new generation software for wind-power forecasting based on AleaSoft’s Neural Networks. AleaWind forecasting technology is the result of years of research in the field of wind-power forecasting. Wind generation is intermittent and fluctuant, which makes it difficult to forecast with traditional forecasting techniques. AleaWind engine combines advanced Neural Networks and Statistical methods and meets the market needs in terms of forecast accuracy and automation. The technology has been tested in different kind of wind farms, improving traditional methods results. AleaWind obtains wind generation forecasting at different levels: national, regional or by wind farm. The application obtains real-time forecasting in the short run, ranging from 24 hours (one day) to 240 hours (10 days), depending on wind input data. AleaWind has an adaptive forecasting engine, that takes into account the fluctuating nature of wind power, keeping models updated. 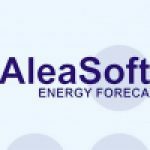 AleaSoft is a leading supplier of energy forecasting solutions, with clients such as Enel or Endesa Italia in Italy, and the main Spanish electricity agents.